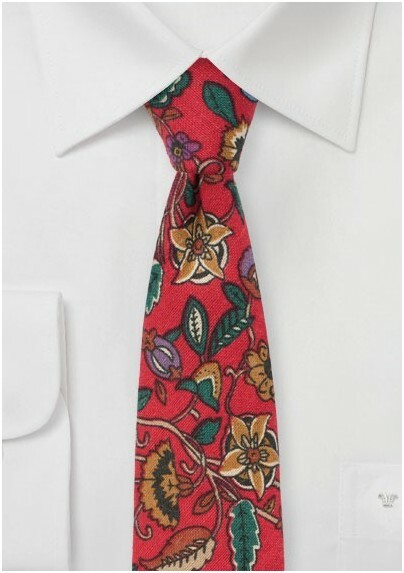 This loud and vibrant floral tie is printed on a unique cotton flannel fabric that is matte in finish and soft to the touch. The bright red is decorated with florals, branches, and leaves in hunter green, olive, cream, blue, and bronze. 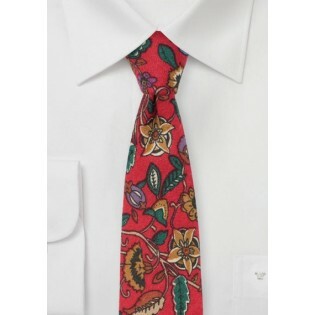 A great tie for late summer and Fall - especially when paired with tweed vest and/or blazer.